Kegler Brown Hill + Ritter is pleased to announce the addition of Government Affairs Advisor Andy Shifflette to the firm’s Government Affairs team. Andy uses nearly two decades of experience in Ohio’s government to assist clients with a variety of legislative needs. Through his knowledge of state budgetary and policy processes, Andy provides clients with constructive analysis that can help them achieve their goals. As a Government Affairs Advisor, Andy proactively identifies legislative issues of importance to clients and advocates on their behalf. As part of his client advocacy, he works with clients to craft amendments and helps them respond to issues in a timely manner. Andy meets with legislators, committees and other interested parties, and attends community and legislative functions. In preparation for testifying before legislative committees, he also assists clients in the coordination and drafting of testimony and follow-up with committee members. 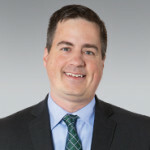 Andy also has extensive experience with Ohio’s operating and capital appropriations budgets, including experience coordinating capital bill community project submissions, and understands the budgets from both a monetary and policy perspective. This familiarity gives him a unique insight into the upcoming budget process. Previously, Andy served as the sole legislative liaison for the Ohio Office of Budget and Management over the course of four General Assemblies where he gained a solid reputation for diligence and integrity. His work involved legislative advocacy, facilitating inter-agency conversations and providing legislative briefings to the office’s senior management and the Governor’s policy and legislative staff. During this time he served as a member of the steering committee that launched Ohio’s Interactive Budget website in 2016. Andy has also served as legislative liaison for the office of the Ohio Auditor of State and a legislative aide in the Ohio Senate.